Give us a call now for a free quote! With the rising popularity of DIY epoxy floor kits, installing beautiful epoxy flooring in Austin may seem easy. The truth is superior results require superior experience, equipment, and training. 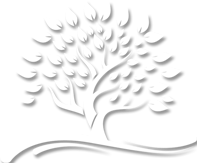 We take pride in our work with a dedication to providing the best in customer service and finished results. Our licensed, bonded epoxy floor contractors take the time to properly prepare your concrete before applying an epoxy floor coating. We only use the best epoxy products for results you will love for years to come. One of the keys to our success is careful preparation of your concrete floor. Epoxy floor installation requires a smooth, dry concrete surface. Our installers will begin by properly filling the seams and cracks in your existing concrete. The surface will be ground until it’s smooth. All oil stains will be treated before we begin for flawless adhesion of your new epoxy floor. We serve residential and commercial customers with high-quality Austin, TX epoxy flooring installation. No matter what you are imagining, we can help make it a reality. Epoxy flooring is an attractive and versatile flooring solution that has many residential and commercial uses. Epoxy is applied as a liquid which cures into a durable and hard plastic surface. Our epoxy floor contractors offer custom epoxy flooring in Austin, TX to make your vision a reality. 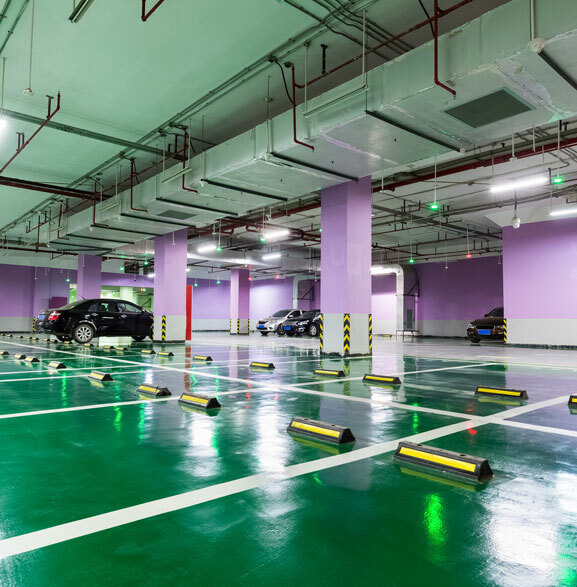 From metallic epoxy garage floor coatings to professional epoxy flake flooring, we deliver excellent results. Epoxy flooring doesn’t need to look commercial, even when it’s used in a commercial facility! We offer many ways to get the epoxy concrete floor you envision. A metallic epoxy floor coating is one option that creates a stunning and brilliant finish. We also install epoxy flake flooring that creates a multi-color effect that can even mimic granite. Want a beautiful concrete surface without an epoxy floor coating? We offer concrete polishing, a cost-effective solution that transforms new or aged concrete into a bright, smooth surface. Polished concrete is stain-resistant and easy to clean. It can also be stained for superior aesthetics. Give us a call today and mention JAN2018 to get a Special Discount Offer. We take the time to do things right. Our installers don’t cut corners. We deliver only the best service possible. We are one of the highest-rated epoxy flooring companies in Austin. Find out what our customers already know; we deliver great results! Great results don’t have to cost an arm and a leg. We believe in honest and fair pricing. This is why much of our business comes from referrals. If you can dream it, we can make it. We offer limitless ways to customize your home or facility with epoxy flooring. Call Now! 512-975-2818 Or fill the form given below to get in touch. Is an epoxy flooring system durable? Yes, epoxy flooring can be one of the most durable flooring systems available. Epoxy comes in many grades, each with its own durability rating. Solvent-based epoxy coatings can be anywhere from 30-70% solid with good durability and resistance. 100% solid epoxy is the most durable option with the best protection against spills and chemicals. 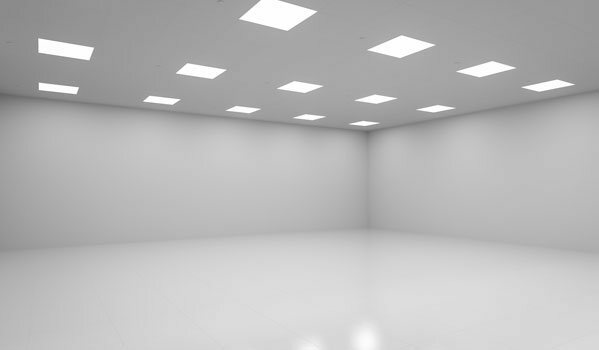 The best way to ensure a durable final product is professional epoxy flooring installation. Our installers take the time to carefully prepare your concrete prior to application to ensure excellent adhesion and cure strength. What are the benefits of epoxy flooring in Austin? Epoxy flooring in Austin, TX is a versatile system that has many uses and benefits. While some people think epoxy is just used to produce a high-gloss finish, it can also add slip resistance, durability, chemical resistance, and a low-maintenance surface. Epoxy flooring combines aesthetics with durability and safety. It can be used in a laundry room, garage, basement or living room. It also has many industrial and commercial benefits. 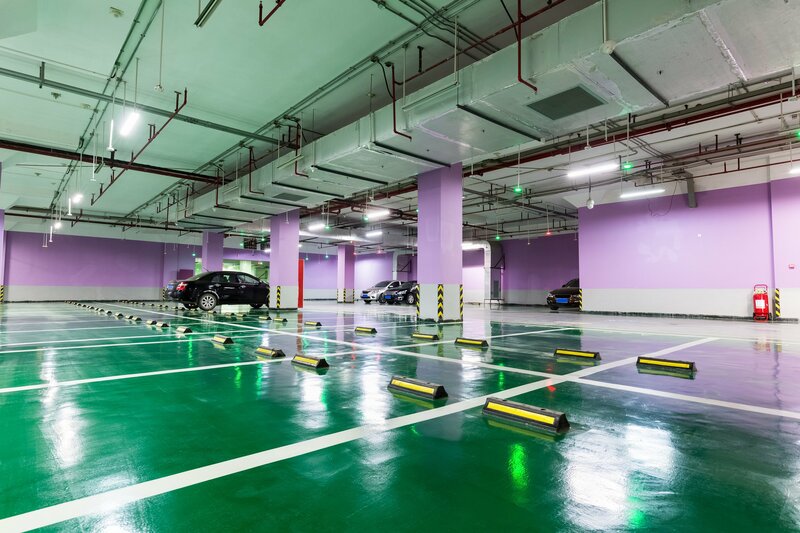 Garage floor epoxy in Austin is the most popular residential use. 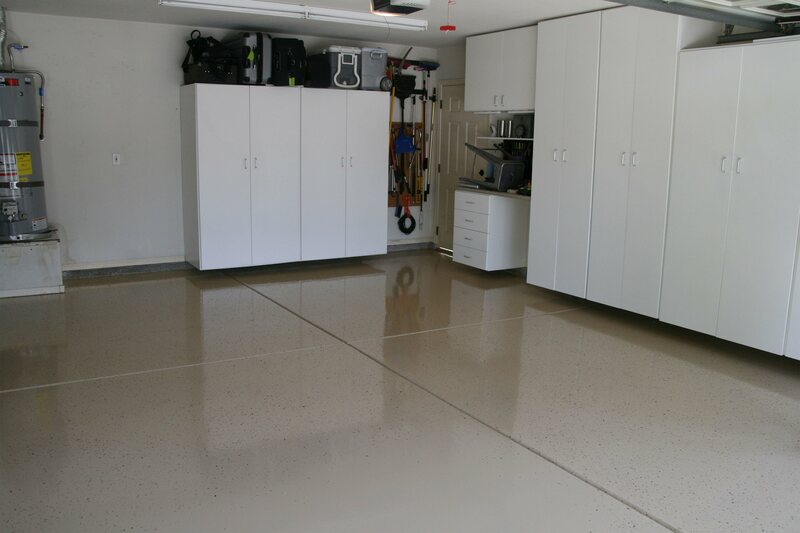 A garage epoxy floor coating can give your garage a beautiful floor that is oil, gas, and chemical-resistant. It’s a cost-effective way to transform a dusty, boring garage into a functional workshop or showroom. Commercial and industrial customers can appreciate epoxy flooring for its excellent chemical resistance and long life. Epoxy can even withstand vehicle traffic. It’s easy to sanitize and clean. With a seamless smooth surface, epoxy is a hygienic choice for medical facilities, laboratories, and more. How long should I expect my epoxy floor to last? You can expect your epoxy flooring to last for up to 10 years in most cases. The lifespan of your new epoxy floor will depend on how well it’s installed, how it’s used, its location, and the grade of epoxy. Professional installation is the most important factor in long-lasting epoxy flooring. It’s also important to maintain your epoxy as recommended.